Preserving the historical aesthetic and updating to modern performance, multiple student residences across the State University of New York (SUNY) College at Fredonia campus rely on windows from Wausau Window and Wall Systems, entrances from Tubelite Inc. and architectural finishes by Linetec. All three contributors are part of Apogee Enterprises, Inc.’s Building Retrofit Strategy Team. As part of Apogee’s building retrofit strategy team, Kevin Robbins assists building owners and facility managers in evaluating the benefits of energy-efficient building envelope renovations and upgrades. He and his team offer free energy modeling, product selection and design assistance, and a network of installers covering North America. As the nation’s largest comprehensive public university system and one of New York State’s largest energy consumers, SUNY is committed to creating more sustainable campuses for its 465,000 students. On its Fredonia campus, SUNY serves more than 5,200 students and 1,100 staff on 256 acres. Amongst the Fredonia students’ residences are Disney Hall, Igoe Hall and Schulz Hall. 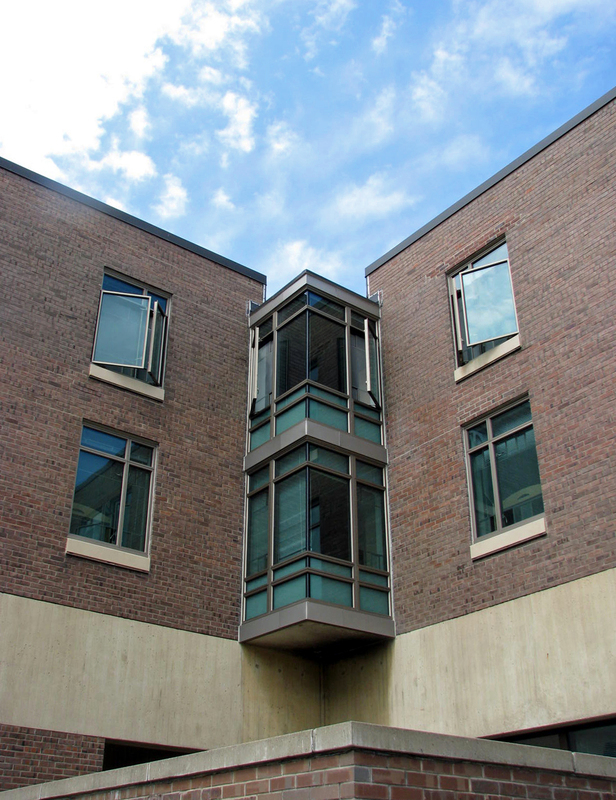 To improve efficient energy use in these buildings, SUNY initiated a window replacement project to upgrade the aging, single-pane, steel-framed windows. The project began in 2013 and is scheduled for completion in 2017. In total, more than 350 windows in SUNY Fredonia residence halls will be replaced with Wausau's high-performance windows. “In many aging buildings, existing windows can be leaky, single-glazed sash with conductive framing systems. They can be difficult, or even dangerous, to operate, promote unhealthy condensation, mold or mildew formation, and force occupants to keep their distance from exterior walls due to glare, drafts and noise,” cautioned Robbins. “Setting aside performance, decades’ old windows also may have beautiful, historic detailing worth replicating. For more than 30 years, Wausau’s products have been trusted to meet both renovation and new construction applications, and both historically influenced and historically accurate projects. One of Wausau’s most recently developed products for these applications is its INvent™ Retro-XLT Series projected windows with beveled exterior face and optional ogee or cove profiled rebates. For more historically sensitive projects, Custom Window™ by Wausau’s products carefully mimic the sightlines, true divided lights and arched tops of classic windows. Both product lines bring the high performance of modern aluminum frames and low-e glass. 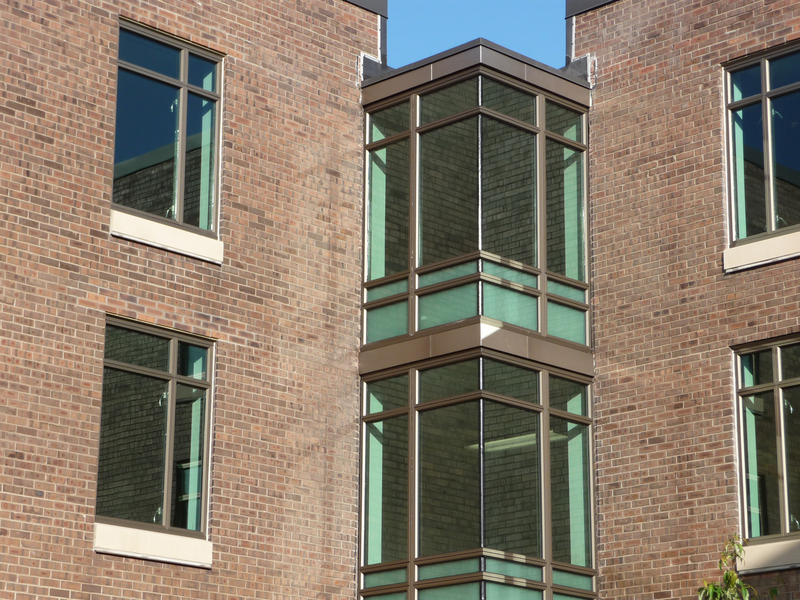 Each Wausau window installed on SUNY Fredonia features solar control low-e glass and polyurethane thermal barrier, aluminum framing, which contributes to building’s energy-saving goals and condensation resistance. Further extending the window systems’ lifespan and reducing the need for maintenance Linetec finished the aluminum framing in durable Medium Bronze and Champagne anodize to match the existing design palette. As part of the Advantage by Wausau® standard product offering, Wausau’s windows are competitively priced and backed with an industry-leading warranty of up to 10 years. They also are available on an accelerated delivery schedule to meet educational projects’ value-focused budgets and condensed construction schedules. On Disney Hall, glazing contractor TGR Enterprises, Inc. installed 190 of Wausau’s project-out, project-in and fixed units. These projected windows allow for natural ventilation, which offers a seasonal opportunity for air-conditioning energy savings when included as part of a facility’s HVAC design. Wausau’s windows on Disney Hall are NFRC-labeled and AAMA AW-rated, indicating that they meet stringent industry testing for air, water and structural performance. These verified attributes contribute to helping improve Disney Hall’s energy performance by 24.5 percent over the ASHRAE standard for residential buildings. The updates to Disney Hall were part of the $6 million Kirkland Complex window replacement project. Named for Walt Disney, the creator of the Walt Disney theme parks, SUNY opened Disney Hall in 1967. Today, the three-floor building is a co-ed residence filled with three-bedroom kitchen suites with shared dining and living areas. Disney Hall primarily houses junior and senior year students. 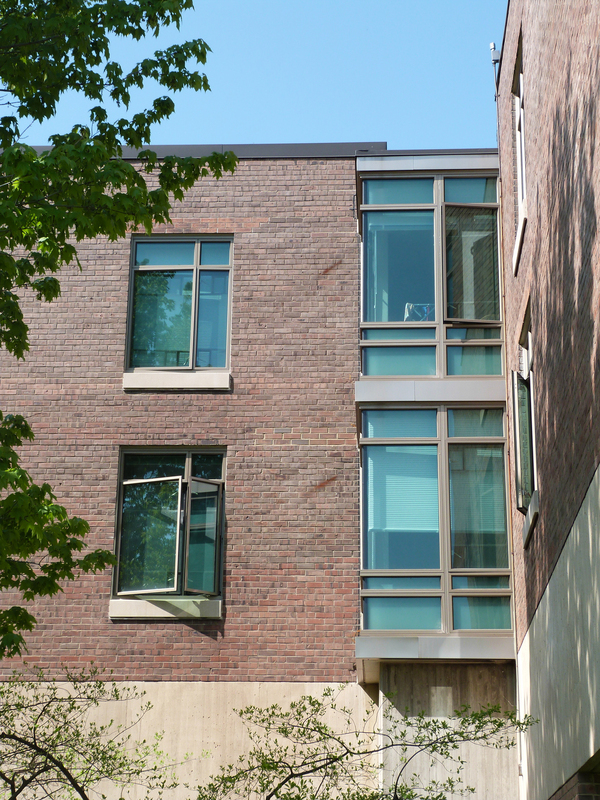 Igoe Hall and Schulz Hall also are mostly designated for upperclassmen’s residences. 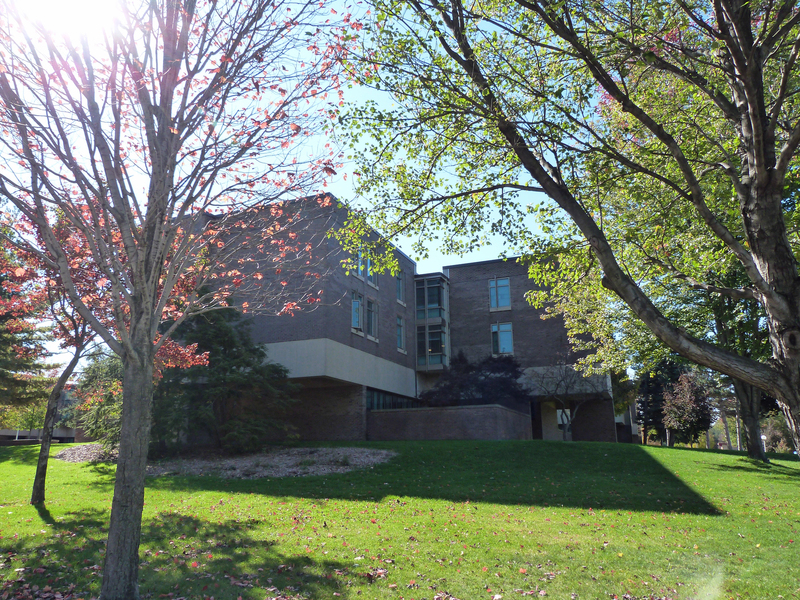 Two of the four buildings within the Andrews Complex, Igoe and Schulz halls each have shared common areas and private four-bedroom suites. Both halls originally opened in 1970. Igoe honors former student James Robert Igoe. Schulz Hall is named for famous cartoonist and “Peanuts” comic strip illustrator, Charles Schulz. 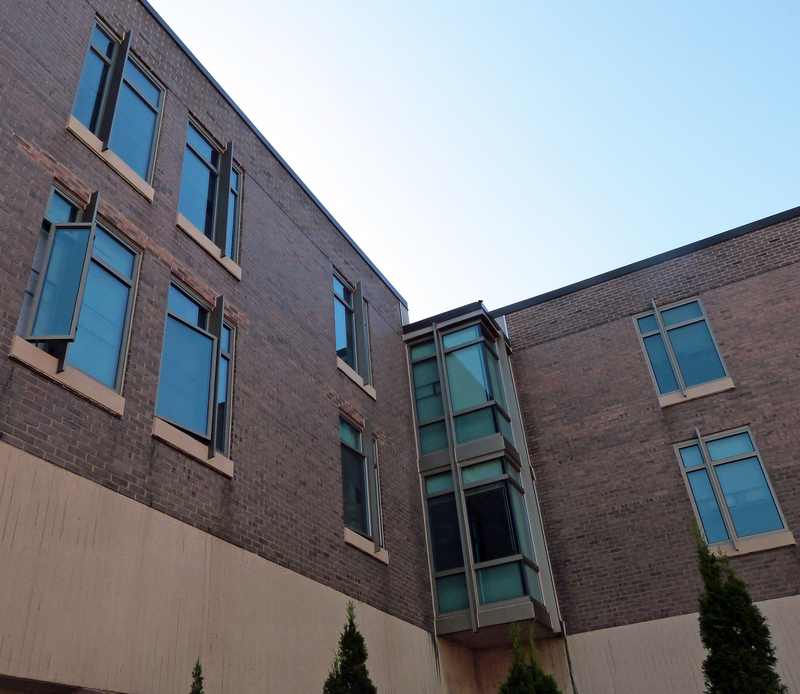 Part of the $6.1 million Andrews Complex window replacement project, glazing contractor Window Specialists, Inc. installed 120 INvent Retro-XLT 2250i Series windows plus 70 Wausau 3250-Z Series project-out zero sightline windows on Igoe Hall. In addition, a combination of Tubelite’s T14000 I/O Series thermal storefront and 17 Wide Stile entrance doors were installed within the Andrews Complex. Linetec provided the aluminum-framed window, storefront and entrance systems with a durable anodize finish to maintain their intended appearance and performance far into the future. Apogee Enterprises, Inc.’s Building Retrofit Strategy Team assists building owners and property managers toevaluate the benefits of window renovation and upgrades, such as improving the appearance of the building, saving energy, downsizing HVAC loading, reducing maintenance, lowering vacancy rates, increasing rental rates and enhancing the value of the building. The team offers free energy modeling, product selection and design assistance, and a network of installers covering North America.